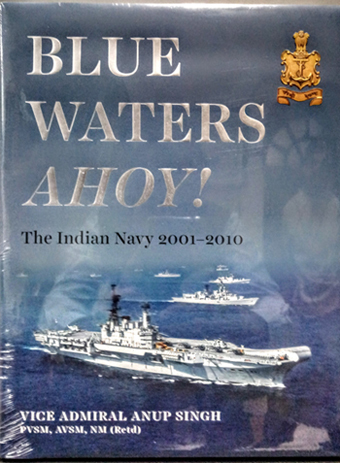 Admiral Sunil Lanba, PVSM, AVSM, ADC Chief of the Naval Staff, released a book titled 'Blue Waters Ahoy!' – chronicling the Indian Navy's History from 2001-10. 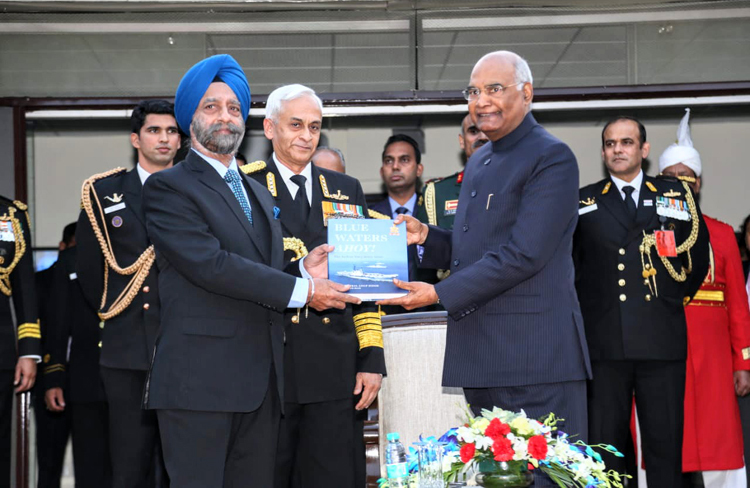 The unveiling was a part of an At Home function held at the Navy House in the presence of His Excellency, Ramnath Kovind, the President of India and the Supreme Commander of the Armed Forces. A large number of dignitaries from both India and abroad were present at the function. The Indian Navy celebrates Navy Day every year on 04 December 2018 to commemorate its offensive actions during the 1971 war. The book has been authored by Vice Admiral Anup Singh, who retired as the Flag Officer Commanding-in-Chief of Eastern Naval Command in 2011. This is, in fact, the sixth volume of the Navy's history; the first five having covered the period from 1945 to 2000. 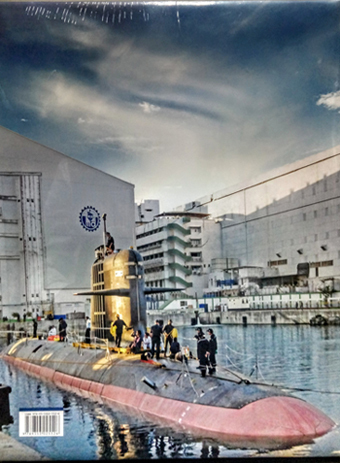 This unique undertaking by the Indian Navy can be traced back to 1968, when the Service established a History Cell. The idea was collation and subsequent analysis of historical data relevant to the evolution of the Navy. Generally, each such volume has covered the period of a decade, and it has been a tradition to release it on the occasion of Navy Day.